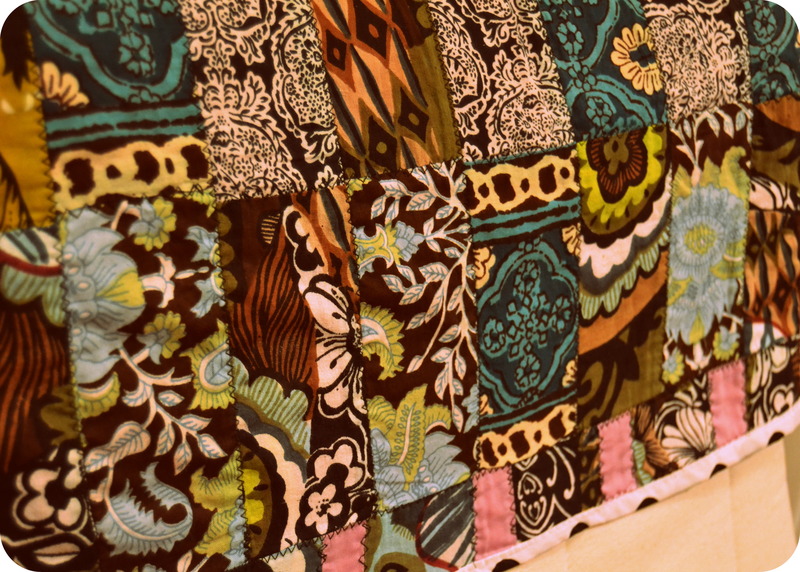 Crazy quilting is something I absolutely adore!!!!! I’m a self taught quilter and crazy quilting was the way I started my quilting adventure. Infact, I didn’t even know I was “Crazy Quilting”, until much later. It soothes me 🙂 Reminds me of a -very VERY long time ago- day, when I was playing with my toys and my grandmother sat nearby, sewing away… … The patterns remind me of my sweet mommy, who would come check my size, for a pretty frock she’d be making for me, while I sat oblivious to the joys of sewing. When I tell my mom, that I made a quilt or I sewed a dress, she laughs it off, simply because its impossible, for her to believe, I can do that. “You don’t know how to sew! !”- is what she says. Thanks to whats app, she has seen, most of my creations and is still amazed, that I’m the one behind, some such babies 🙂 Including the one giant quilt, I gifted her this year, for her birthday!